Corrected text and alerted players to existence of multiple endings. Various stability improvements: Should fix crashing when player exits lakehouse, fix dialogue conditions, and update text. Fixed rare issue where players were unable to find old man's note; it's now on his body. Fixed rare bug where players had problems opening lakehouse portal. Ensured the cave has the correct music. Fixed music looping and overlapping and post-game music issues. Fixed issue where players died falling from ledge. Fixed inadvertent NPC death in dome. Fixed issues occurring in the Lonely Tower. Fixed issue with suicide note disappearing. Fixed Brol dialogue not functioning correctly. Fixed issue where bandit defence quest was not progressing. I've moved on from modding to professional game development, but please feel free to connect with me via Facebook, YouTube, and/or Twitter, and visit my webpage﻿ for news! 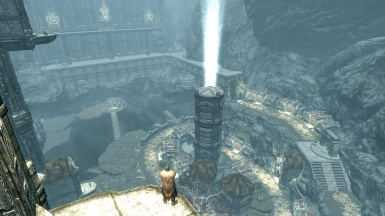 The Forgotten City is the first mod in history to win a national Writers' Guild award with its script. 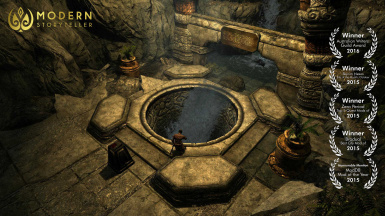 It is a critically acclaimed expansion mod offering a unique 6 - 8 hour experience: a murder mystery investigation set in an ancient underground city. You'll need to solve it using your wits, and the ability to travel through time. It has a dark, non-linear story in which you'll interrogate suspects, explore the city and its many secrets, and navigate challenging moral dilemmas. It features multiple endings, an original orchestral score, and professionally voiced dialogue. 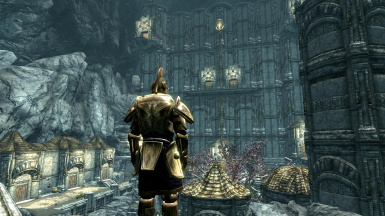 PLEASE NOTE: A remastered version is available for Skyrim Special Edition here! Epic, sweeping, cinematic music. Check out the remastered version! Discover secrets, mysteries, and relics that are thousands of years old. Investigate and interrogate a community of people, each with their own unique stories and roles to play. Your experience will depend on the decisions you make, as well as your character's individual history. Whether you're a saint or a psychopath, or something in between, there will be repercussions. Talented voice actors from the US, Britain, France, Canada, Australia and New Zealand deliver striking performances. Please see the Forums tab above for known bugs and workarounds. Do I need to have the other Skyrim expansions? No. Only Skyrim is required. You don't need any of the expansion packs. Does it have any dependencies or installation requirements? Yes. It should be compatible with most other mods. This mod is designed to be played solo. You'll understand why once you play the game. 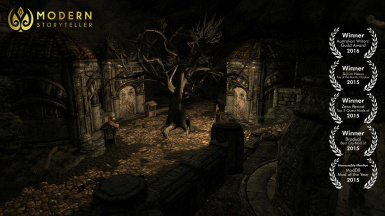 Download with Nexus Mod manager, or download manually and place the contents in your Skyrim/Data folder. That’s it! Click the “Files” tab, above. Under “Main Files” click “Download Manually”. 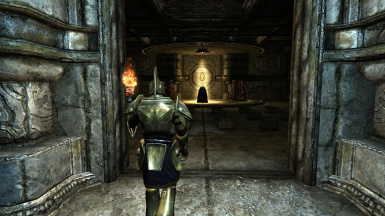 If you've manually installed the mod, simply delete "'ForgottenCity.esp", "ForgotttenCity.bsa" from your Skyrim/Data folder, and "FCCrediits.bik" from your Skyrim/Data/Videos. If you’re Level 5 or above, you’ll be approached automatically by a courier when you enter any city. 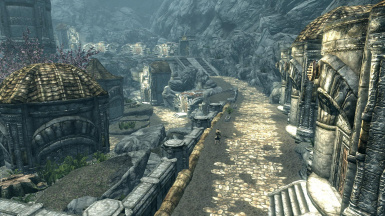 Alternatively, you can make your way to the "Forgotten Ruins" in the south west corner of Skyrim. This mod took over 1700 hours to make. If you enjoyed it, I'm always happy for you to get in touch via Facebook, YouTube, and/or Twitter!